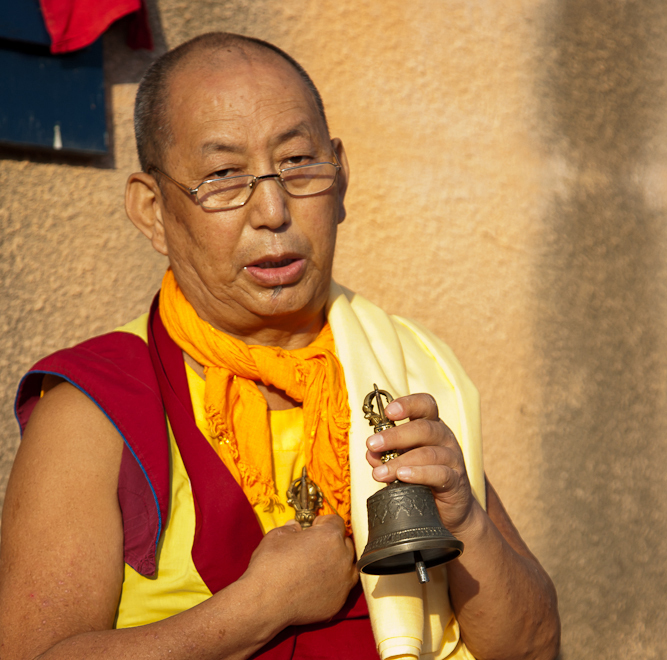 Venerable Geshe Sonam Gyaltsen (born in Tibet in 1941) was ordained as a novice monk as a six-year old in the monastic university of Ganden in Tibet. Following the Chinese invasion in Tibet in 1959, he fled to india, where he continued his studies. He achieved the highest scholarly degree in Buddhist philosophy as a 'Geshe Lharampa', and was appointed as professor to the Central Institute for Buddhist Studies in Leh (Ladakh, India). Since 1992 he is the resident teacher of the Maitreya Institute in Emst and Loenen. His teachings are remarkably clear and show his great intelligence.